At AVAmedica, we specialize in providing the most innovative and dramatic beauty-enhancing treatments available in NYC. SculpSure® is the latest development in non-invasive permanent fat removal that can be done in just 25 minutes per area. Whether you are struggling with a soft and flabby belly, unwanted love handles or fat on your upper arms, the SculpSure® system and the staff at AVAMedica can provide the non-surgical solutions you need to enjoy greater confidence and an improved appearance. The results have an over 90% patient satisfaction! AVAmedica is a State of the Art Cynosure Center of Laser excellence, using the latest and best lasers on the market. Our professional aestheticians use the SculpSure® system to remove fat deposits safely (24% fat destruction per treatment area session) andd without the need for invasive surgery. This can allow you to enjoy the most beautiful results with minimal downtime and no scarring. To learn more or to set up an appointment for these innovative treatments, call AVAmedica today at 646-588-0888. We look forward to the chance to answer any SculpSure questions you may have. 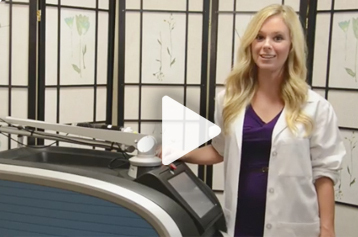 Does SculpSure® cause permanent fat elimination? Yes, the heat energy generated causes disruption of vital cell membranes resulting in it’s death, therefore it is permanent fat cell destruction as opposed to simply shrinking the size of fat cells. Yes, Sculpsure was approved by the FDA as non invasive body sculpting device in October 2015. The amount of treatments depends on the individual’s body composition and the amount of fat present. Sometimes one treatment will achieve optimal results, and sometimes it will take 2-3 treatments. The destroyed fat cells are removed by the body naturally over the course of about 4-6 weeks. Optimal results are seen at 12 weeks after treatment.